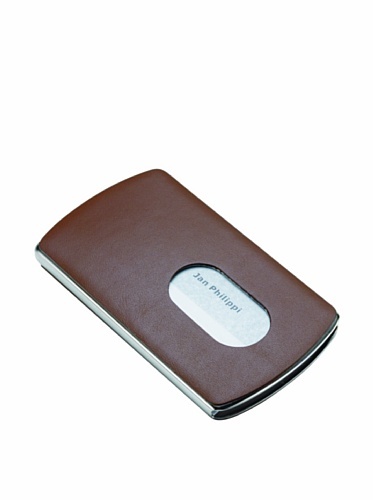 Philippi 120033 Nic Business Card Dispenser- Brown by Philippi at Helix Alumni. SKU: 002120033. MPN: 120033. Hurry! Limited time offer. Offer valid only while supplies last. Very elegant and functional business card dispenser designed by Philippi. Use your thumb to push the card forward and to make a favorable impression. Very elegant and functional business card dispenser designed by Philippi. Use your thumb to push the card forward and to make a favorable impression. Size: 4" x 2.5". If you have any questions about this product by Philippi, contact us by completing and submitting the form below. If you are looking for a specif part number, please include it with your message.